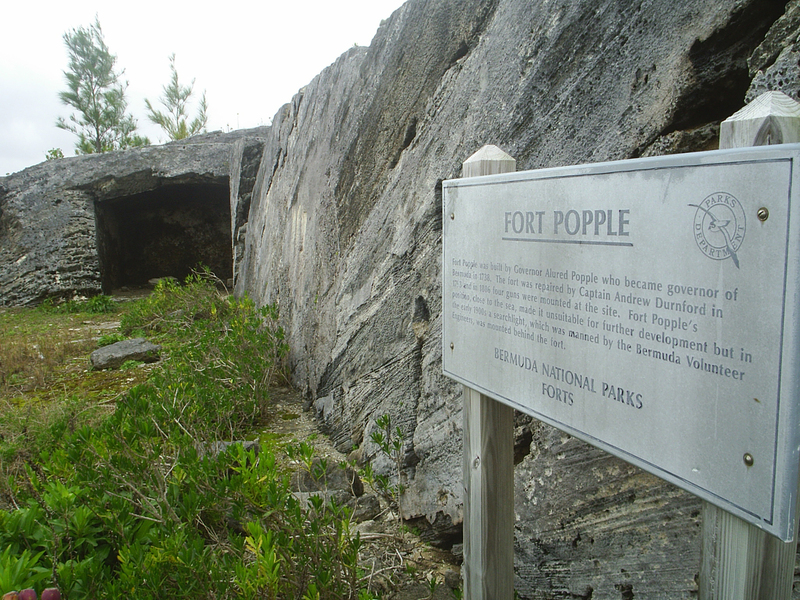 Fort Popple was built in 1737 and named after Governor Alured Popple. Its 7 guns were used to defend St. David's, St. George's, Southampton Fort and Smith's Fort. The construction of Fort Cunninham in 1612 superseded Fort Popple and it was no longer used. Fort not accessible to the public. Photo by Dave Odgers.